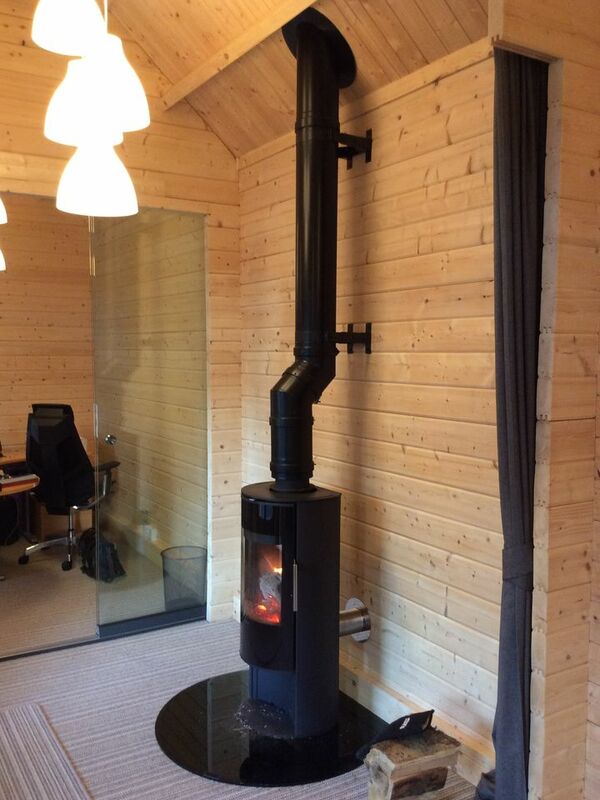 Choosing a woodburning stove is the most stylish and sustainable way to heat your Keops log cabin. There is nothing more captivating than the warm cosy, quiet beauty of a real fire; the warmth is unique, the flames mesmerising. 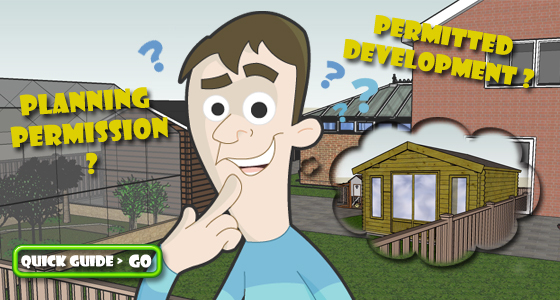 Large viewing panes make a wonderful focal point and responsibly sourced, well seasoned timber means it is carbon neutral and energy efficient. 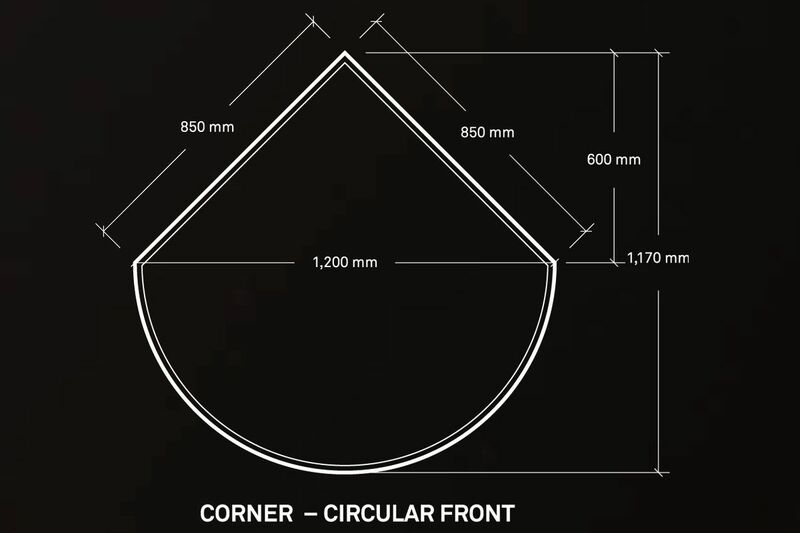 We have teamed up with Danish company Morsø to offer you our combined technical expertise and the benefit of discounted pricing which means we’ve done all the thinking for you. 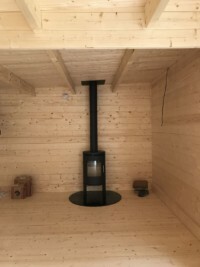 So why not choose one of our traditional or contemporary Morsø stoves and re discover your love of simple manual tasks. Its something else to point your furniture at, dogs love it and its very romantic – enough said! It is perfectly natural that our discerning Keops log cabin customers will wish to enhance their cabin purchase by the inclusion of one of the finest wood burning stoves available. Keops are proud to have teamed up with Morsø to adapt a range of stoves and accessories to work harmoniously and safely in a log cabin environment. 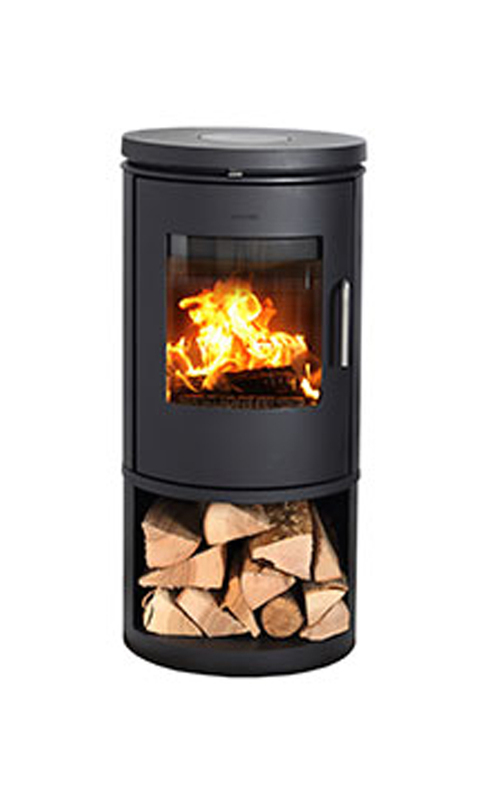 Morsø, a Danish Company have over 160 years of experience in the manufacture of the very highest quality wood burning stoves. Morsø have retained the time honoured tradition of making “Cast Iron” stoves rather than the cheaper “steel” equivalents often found in the market place today. 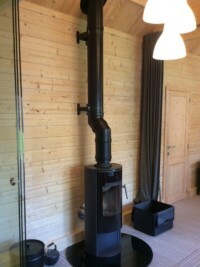 Morsø adopted the “Squirrel” as their casting mark and are the makers of the famous “Squirrel” stoves. 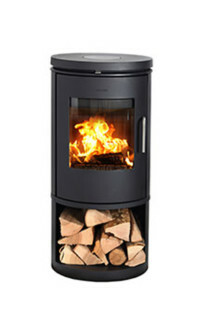 Morsø have superior technical expertise to provide wood burners with the ultimate combustion technology. 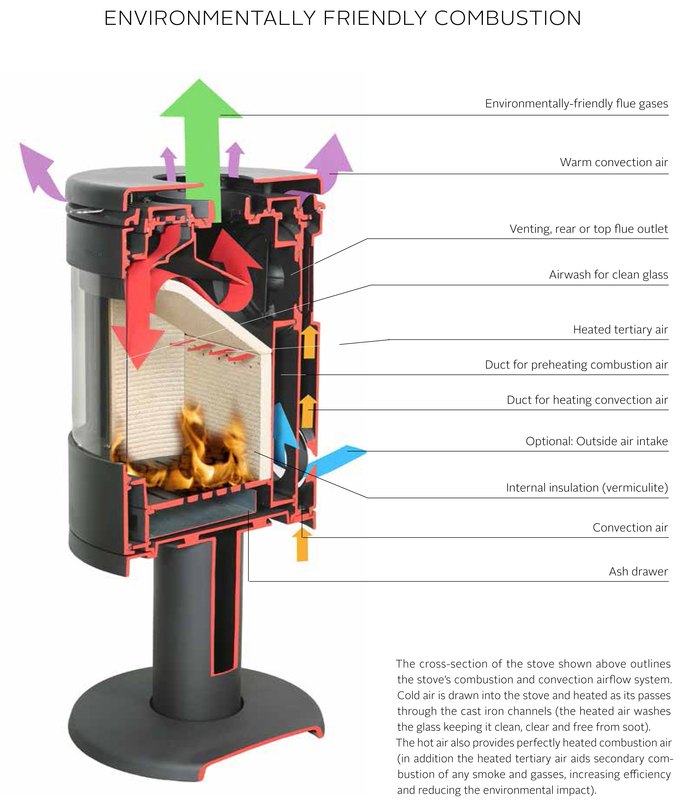 The cross section of the stove (image) outlines the stoves combustion and connection airflow system. 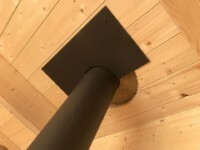 Cold air is drawn into the stove and heated as it passes through the cast iron channels. The heated air washes the glass keeping it clean, clear and free of soot. The hot air also provides perfectly heated combustion air. In addition the heated tertiary air aids secondary combustion of any smoke and gasses, increasing efficiency and reducing the environmental impact. Cast iron has unique properties. All stoves want to expand as they get hot. Cast iron is especially well suited to temperature change. The stoves are constructed by bolted section and plates which are sealed with gasket materials. 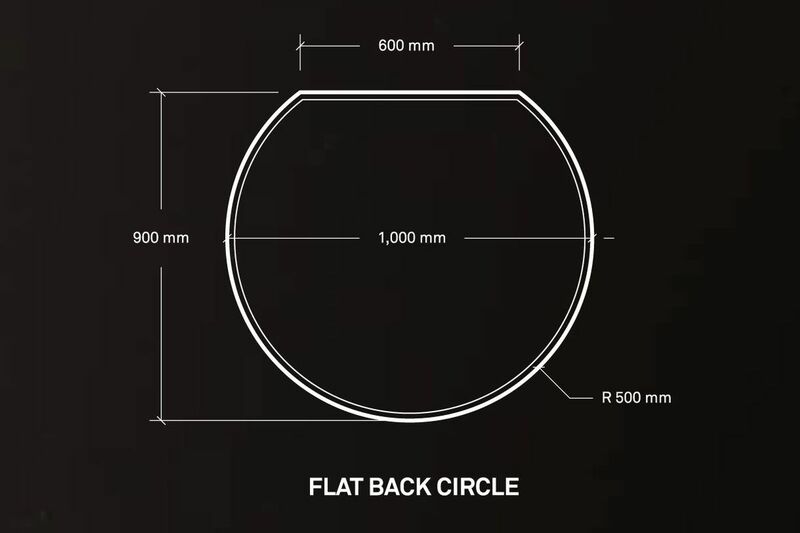 As the Cast iron expands the gaskets material will cushion the expansion and thereby reduce stresses in the metal. 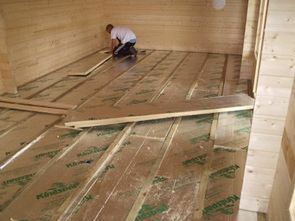 This is so much better for air tightness and integrity than “welded seam” steel stoves. Cast iron is highly resistant to overheating. 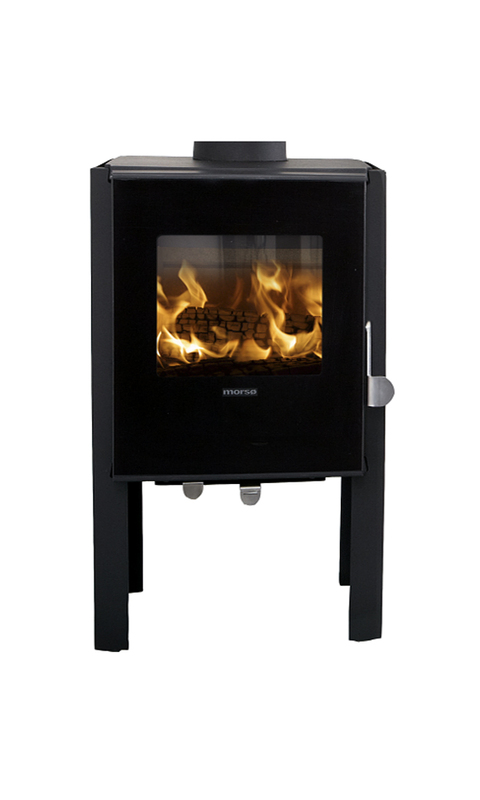 The thickness of cast iron used in Morsø Stoves ensures that the stoves retain their heat for a long time. The ability of cast iron to distribute heat is high. 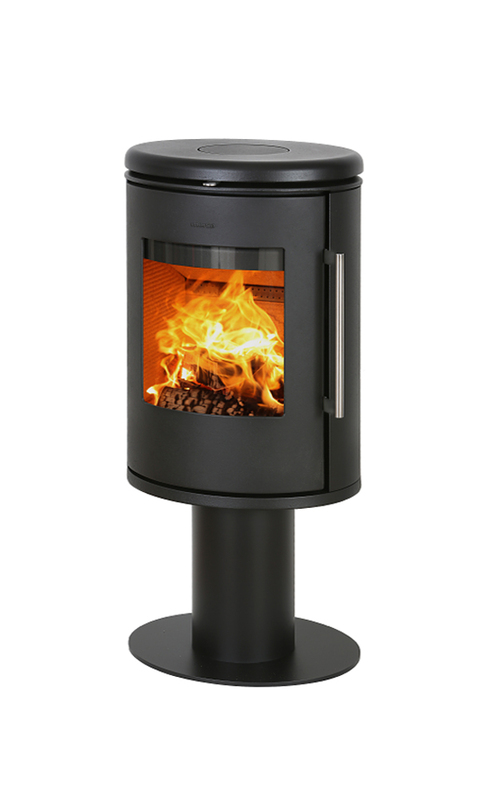 The heat from a Morsø cast iron stove always feels comfortable and pleasurable to be near. Castings are covered by the 10 year Morsø warranty. 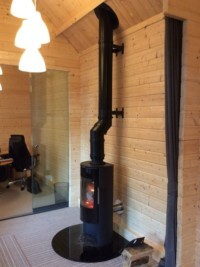 The collection of Morsø stoves for Keops use, all provide “convection” heat rather than “radiant” heat. 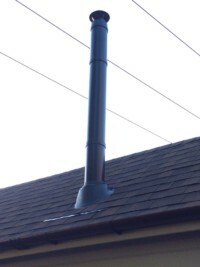 This ensures that heat from the stove will circulate around the cabin rather than being confined locally to the stove. 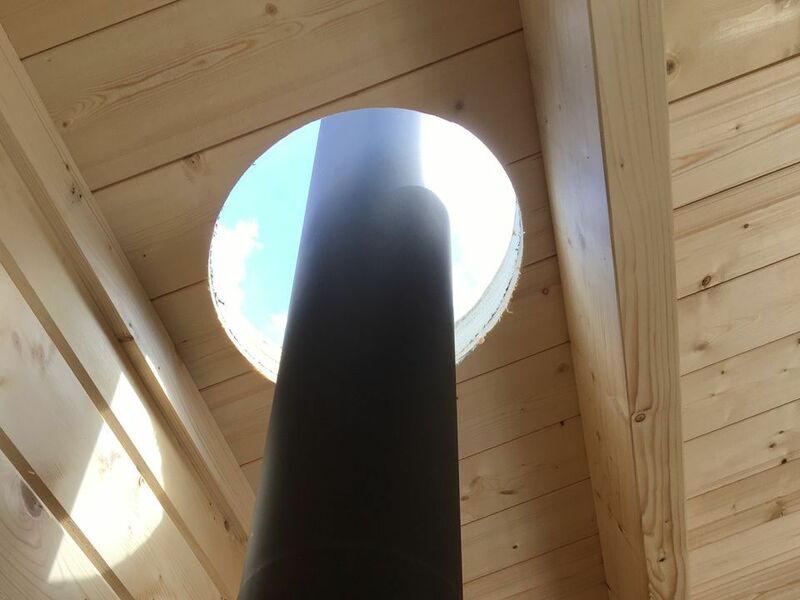 The Keops/Morsø stoves have been adapted by adjustment to baffles and by including adjust baffler heat resistant back panels to allow siting closer to cabin walls safely. 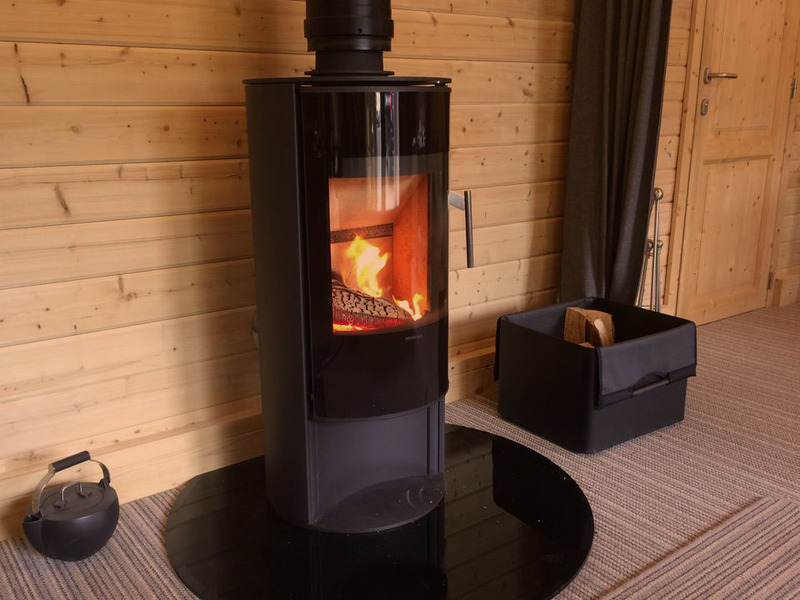 The Keops/Morsø stoves have been adapted to ensure base temperature is kept to a minimum and work in conjunction with the glass hearth plate provided in the package. 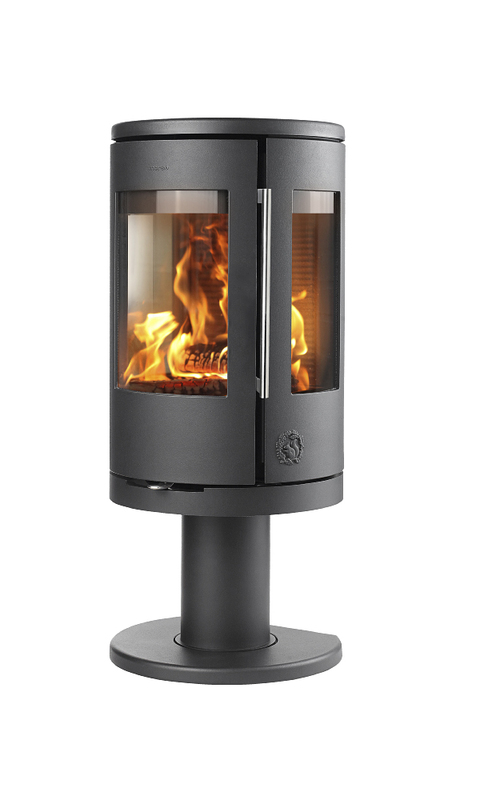 The Keops/Morsø stoves are selected for their elegantly designed glass panels in the doors to provide a good view of the fire and flames. The Keops/Morsø stoves provide heat output between 4kw – 5kw (depending on the model) which can be turned down in a very controllable manner. 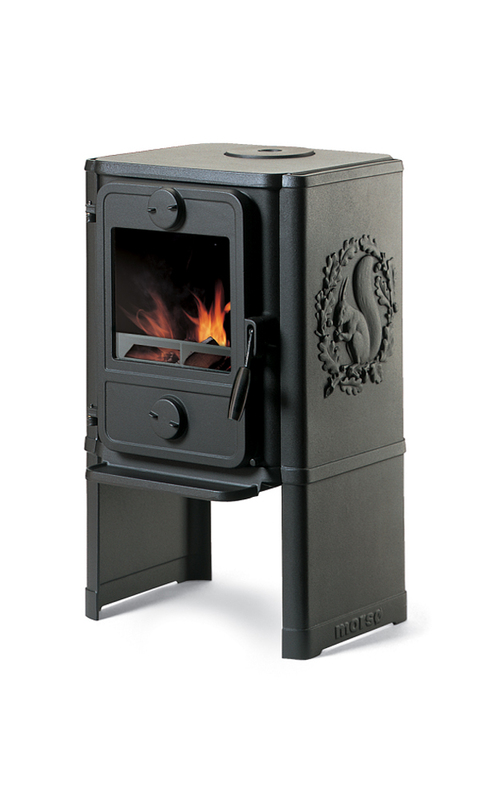 These sizes of stove do not need separate air intake from outside or air vents in the cabin. For log cabin use it is essential to ensure the stove does not burn or scorch the cabin wooden floor. This is achieved by two methods. 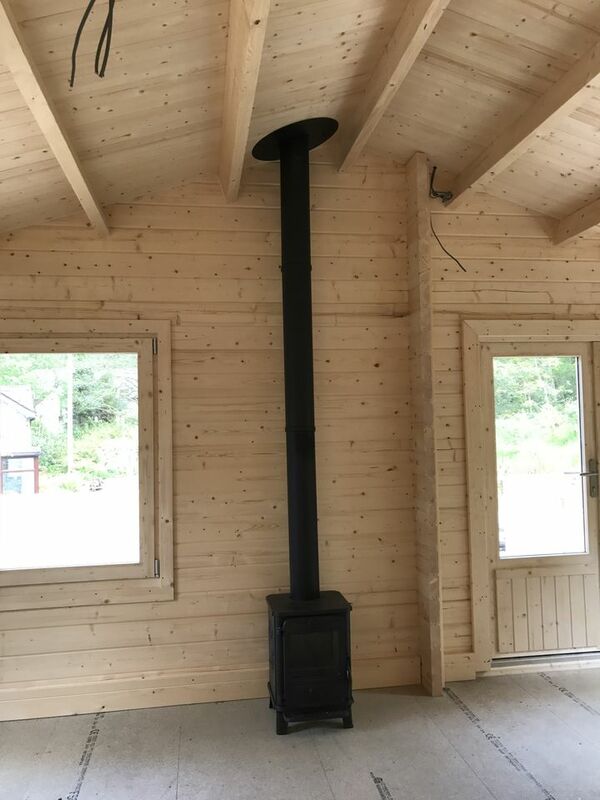 The Morsø stoves are specially selected to work with Keops cabins and have been designed to ensure their base temperature does not exceed 100°C. 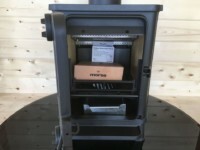 The Keops/Morsø stove kit includes a glass hearth plate. Glass hearth plates are 12 mm thick toughened glass for strength and heat resistance. 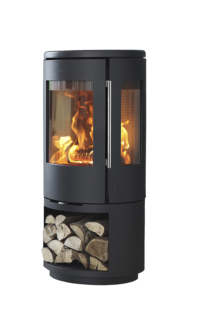 Keops/Morsø specify black glass to create a smart look to co-ordinate with the colour of the stoves and the black glass will mask the underlying floor boards or floor covering. 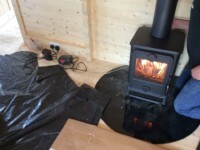 The size of the glass hearth plate is adequate to protect the floor within the full swing of the stove door and is adequately sized to protect a danger zone from hot cinders falling out of the door. 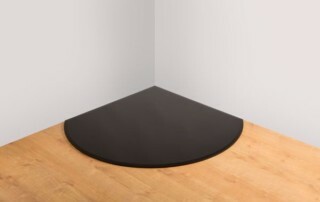 Glass hearths can be sited on top of a carpet to save having to cut the carpet around the hearth. Leading edges of the glass hearth are bevelled for an elegant appearance and to avoid sharp edges for safety reasons. Keops/Morsø glass hearths have circular fronts for an exclusive look and to minimise obstruction to thoroughfares. 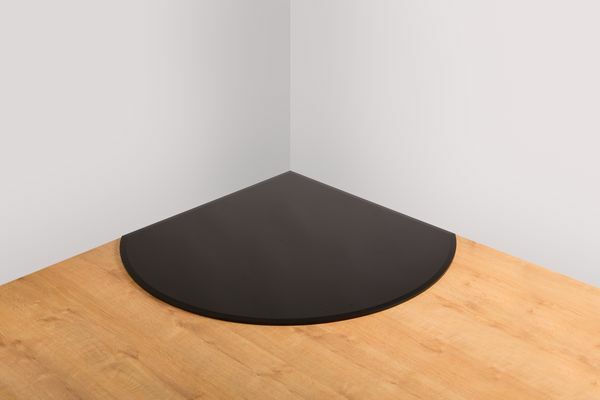 Keops/Morsø glass hearths are designed for “against wall” or “in corner” situations. 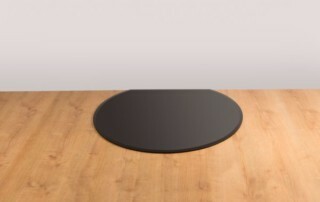 Glass hearths require no fixings or adhesives. 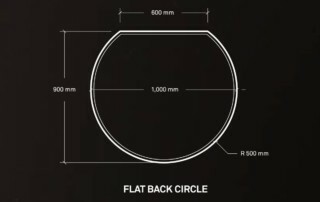 Larger and less circular shapes are available by special requirement. Log cabins generally have lower roofs, which dictate a short length of flue. 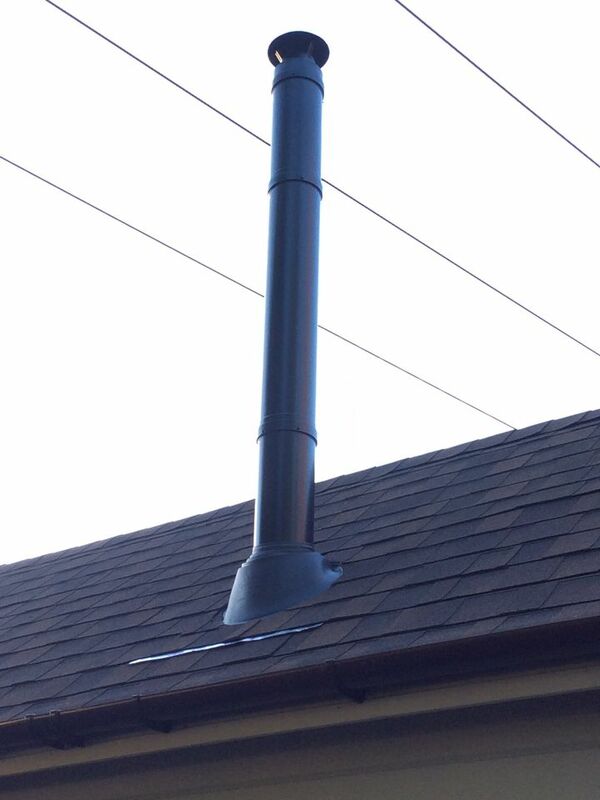 However, short length flues are unlikely to be able to create adequate draw to ensure efficient stove combustion. The specially designed Keops/Morsø flue kit is termed a “high velocity” flue to ensure that correct draw is achievable even at shorter lengths. It is smaller in diameter than traditional “house” flues, so looks more attractive. 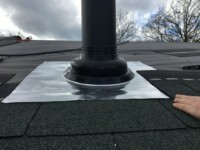 It is constructed in double skin stainless steel and insulated between the skins to ensure surface temperature is low enough to pass through the roof, safely. 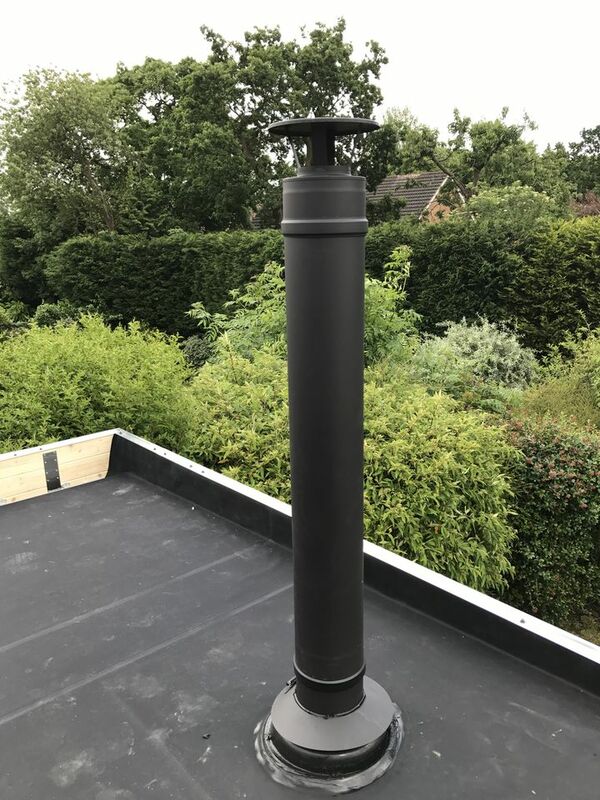 All flues are supplied paint sprayed in Matt Black for best appearance, to avoid an industrial look and to co-ordinate with the stove colour. 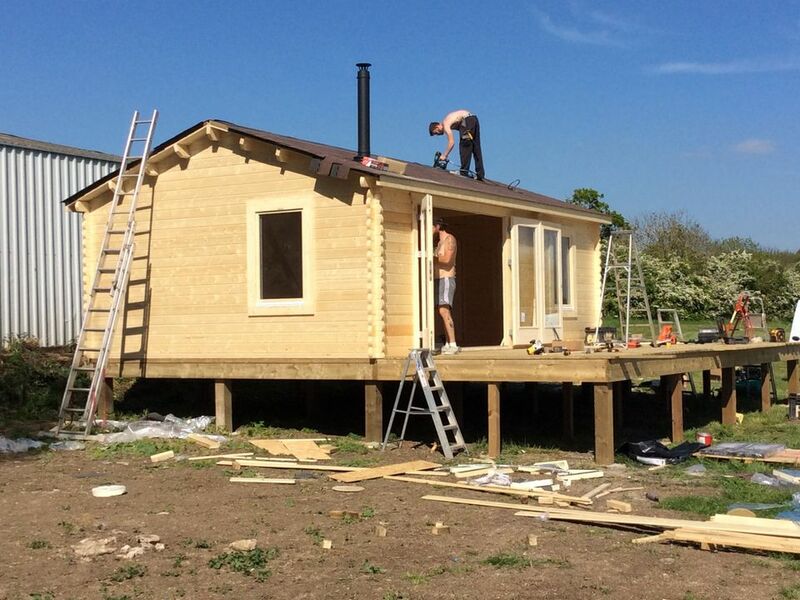 Log cabins do change overall height due to changes in log dimensions affected by moisture content. The Keops/Morsø flue length is therefore designed to accommodate such cabin height changes by incorporating a telescopic section within its length. 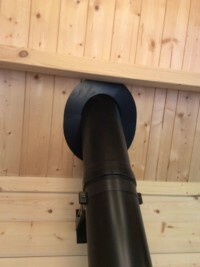 The stove body and flue outlet flange is specially adapted to receive the special Keops/Morsø flue size. 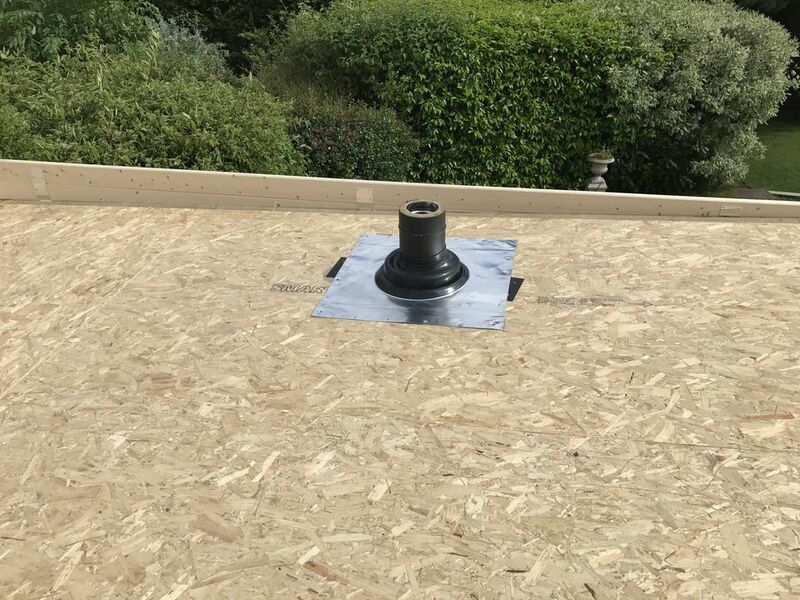 Roof flashing kits are designed to work correctly and inconspicuously with Keops log cabin roof coverings. 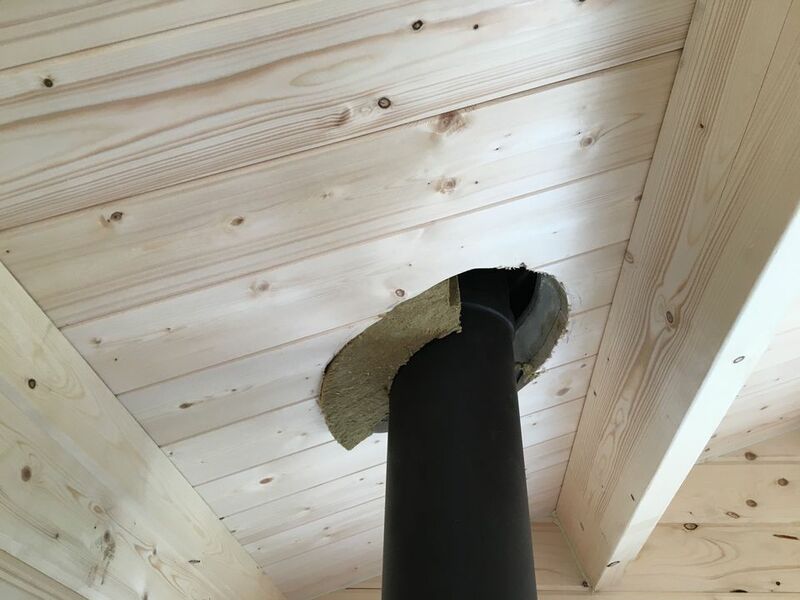 The clearance hole in the Keops log cabin roof structure will be lined in 80 mm thick fire resistant insulation to protect the wood from overheating and to replace the thermal insulation and avoid cold draughts. 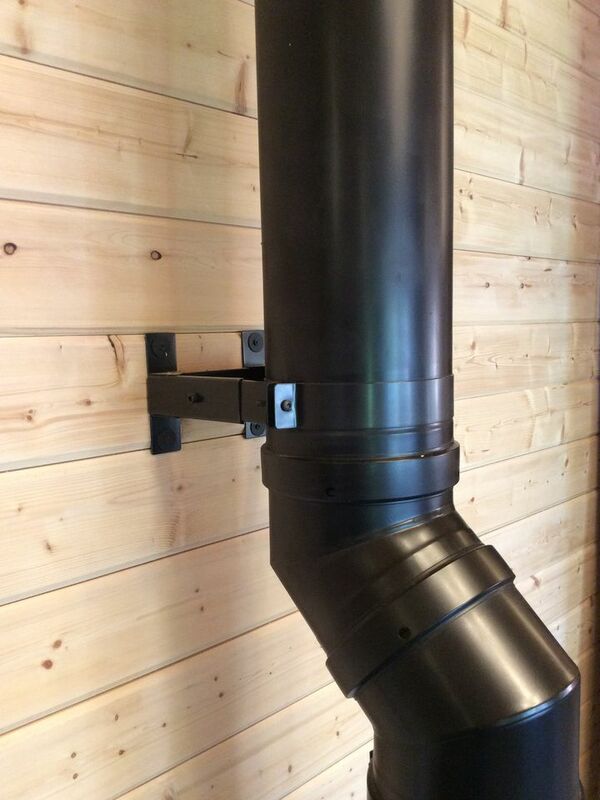 Flue support brackets are designed to be hidden within the Keops log cabin roof structure. 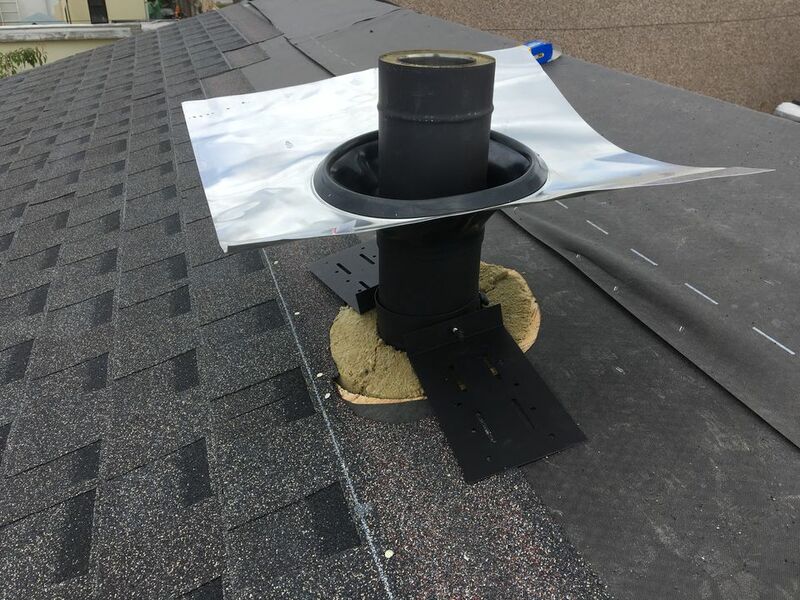 Keops/Morsø flue kit includes a ceiling cover plate to mask the clearance hole and insulations and create an attractive internal finish. 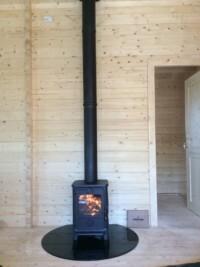 The best time to install a wood burning stove is during construction of your log cabin. The stoves are heavy and need several people to manoeuvre into place. 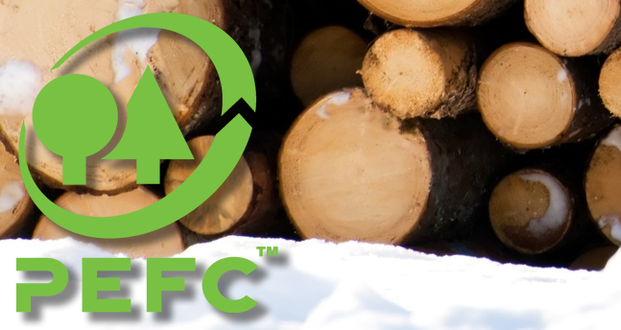 Such resource would normally be on site during cabin construction. 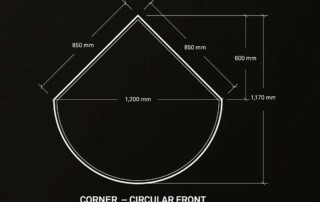 A large 310 mm diameter hole needs to be machined vertically through the sloping roof construction. 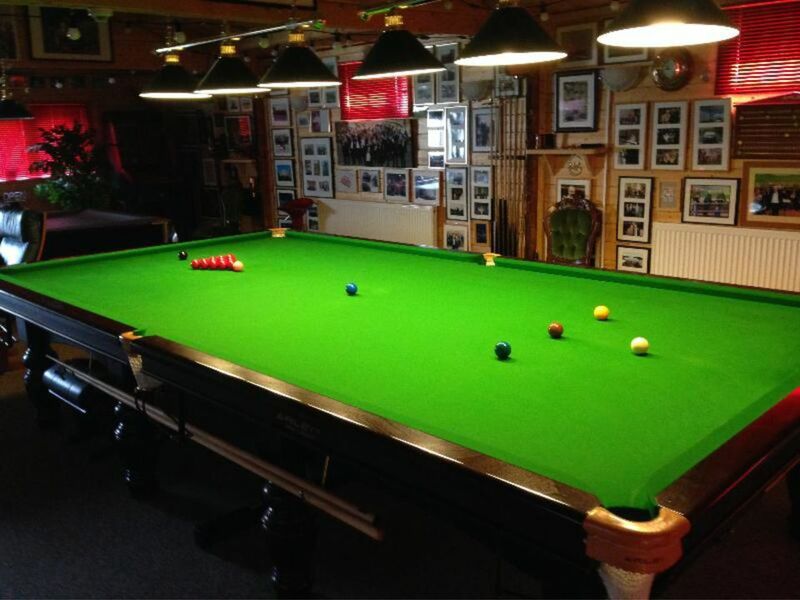 This requires specialist skills and equipment. 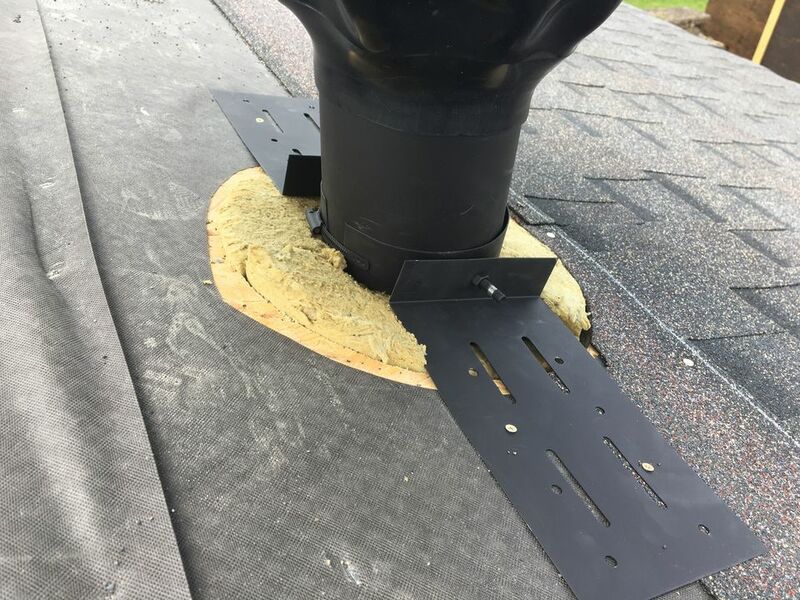 Machining a hole in the roof of a cabin retrospectively would need knowledge of any wiring concealed in the roof to avoid a costly and dangerous mistake of severing live wires. 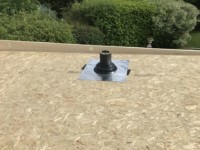 Flashing kits can be installed correctly before roof covering is fitted. Roof coverings can be correctly sealed for weather tightness. Flue support brackets can be concealed within the roof structure otherwise obtrusive wall mounted brackets would be needed if a stove is fitted retrospectively. 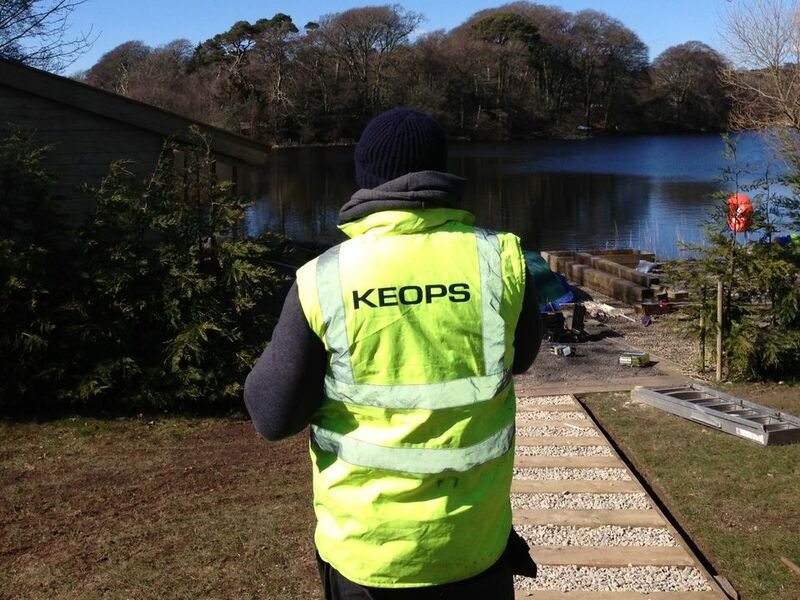 Keops installation personnel have the technical expertise to ensure the stove is installed correct safe distances from combustibles. Keops will design the stove positioning to ensure that the flue route will avoid roof structural members and will design flue length to be the correct safe distance above the roof. Keops will design the cabin layout of doors and windows sympathetically to the positioning of a stove with due consideration of best stove position for optimum heat circulation and feature view. 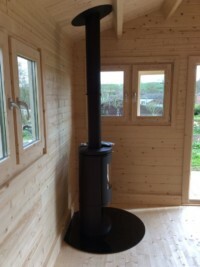 A Carbon Monoxide Monitor will be included and installed within the cabin, correctly positioned relative to the stove.